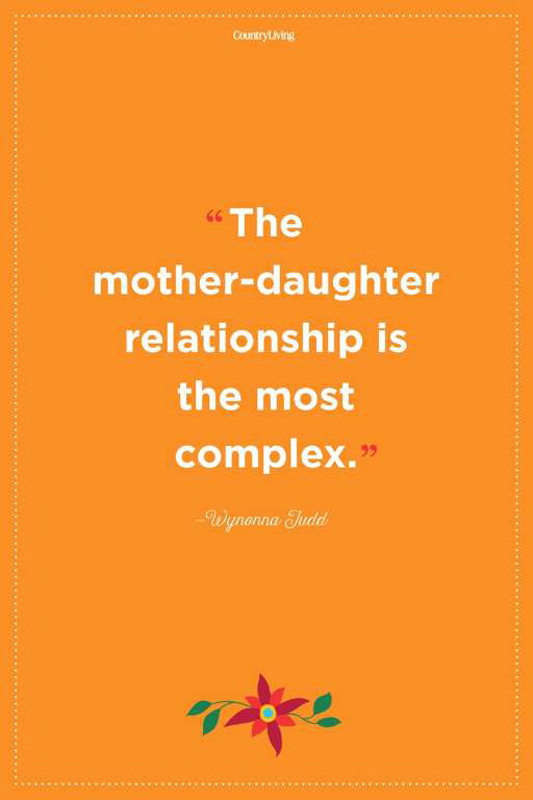 It's true that the bond between a mother and a daughter is something special. 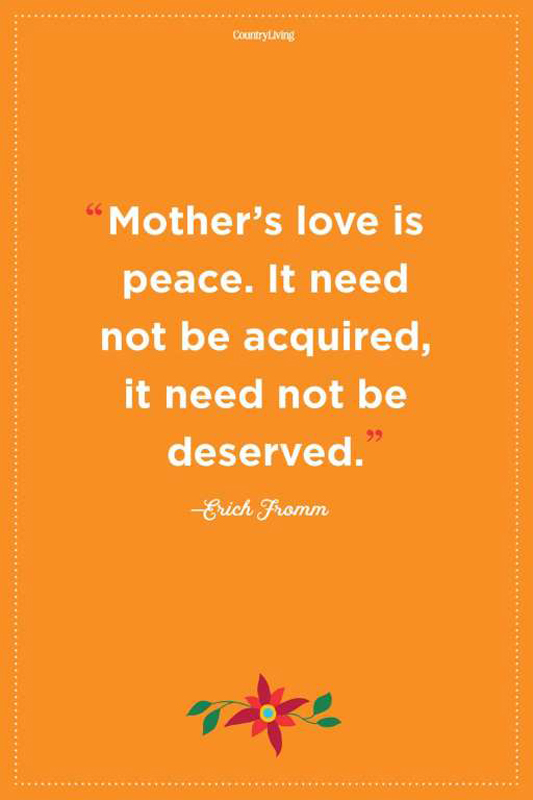 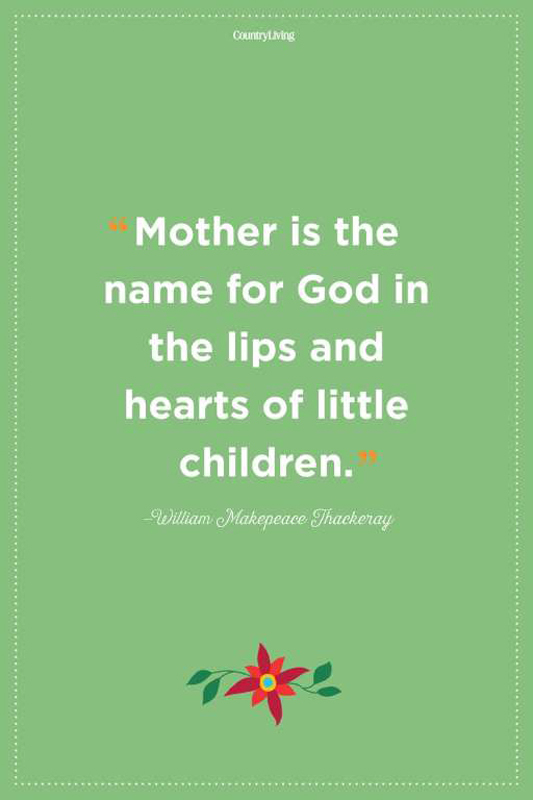 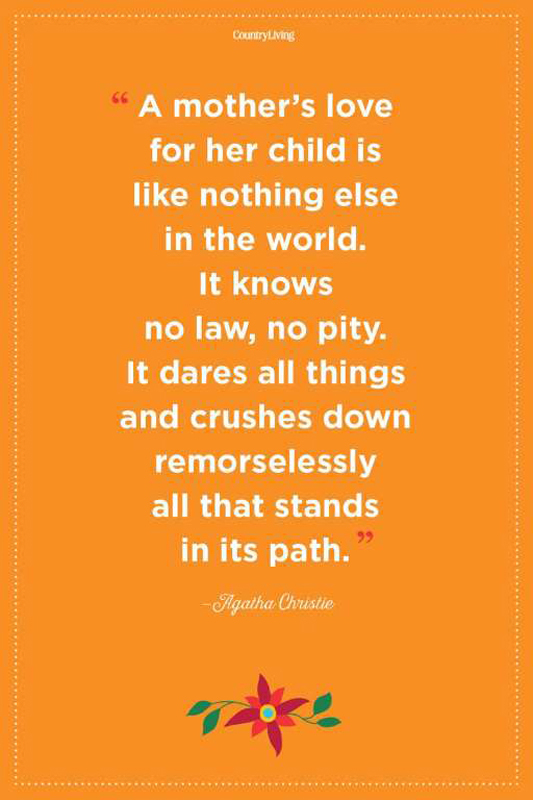 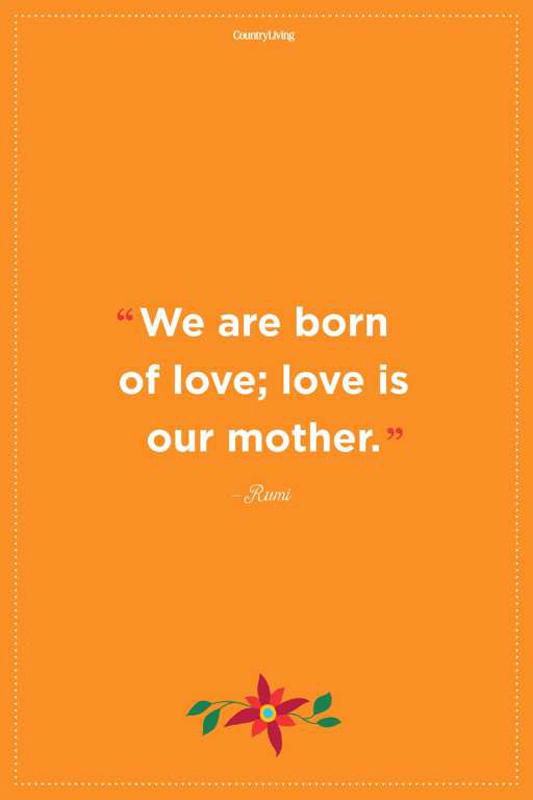 This Mother's Day, let your mom know how truly loved she is with these sweet quotes and sayings. 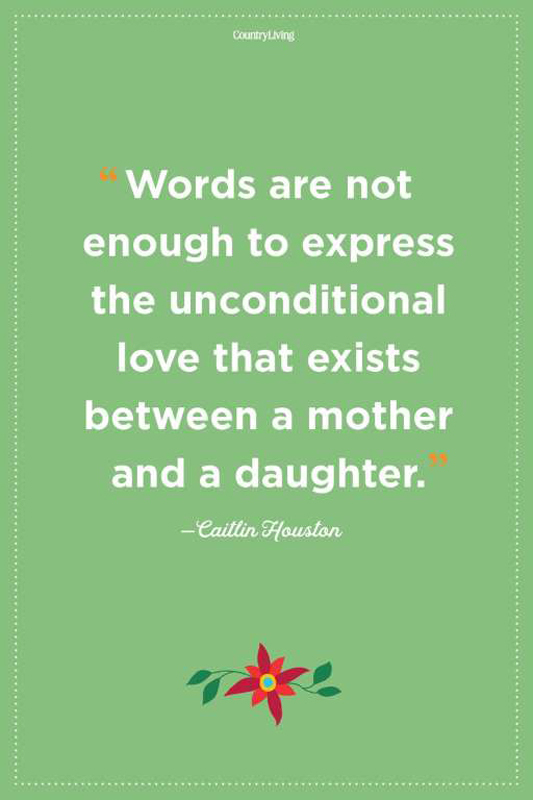 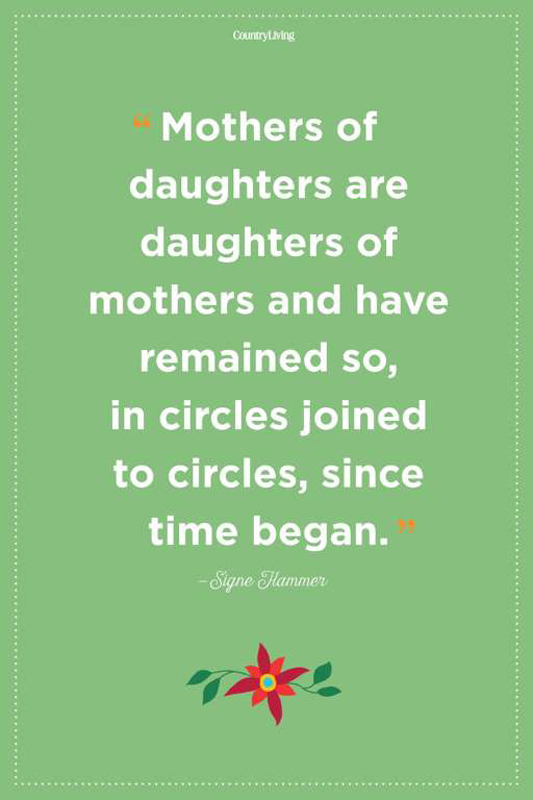 Whether you're looking for a message to write in a Mother's Day card or a caption on Facebook, we found the best mother-daughter quotes to share when you just can't seem to find the words. 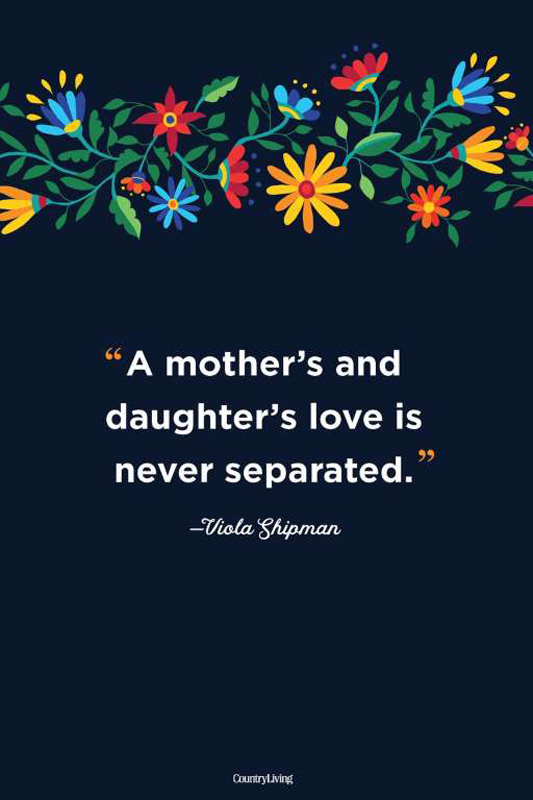 "A mother’s and daughter's love is never separated." 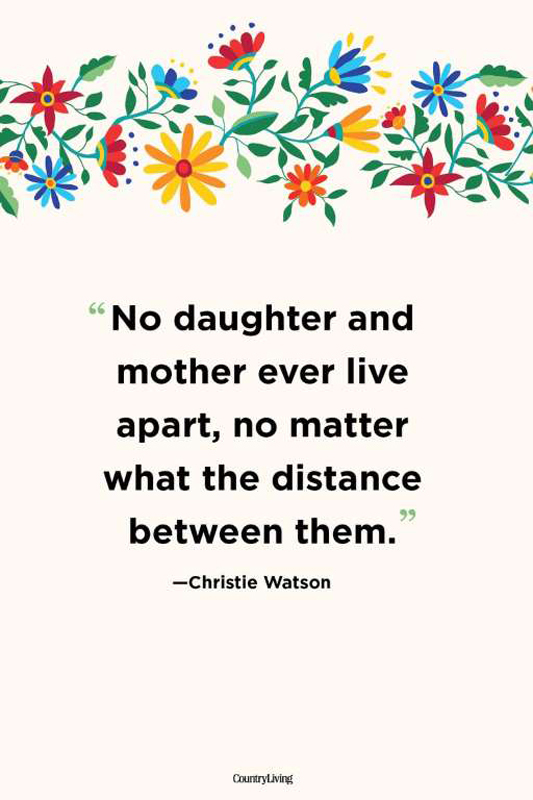 "No daughter and mother ever live apart, no matter what the distance between them." 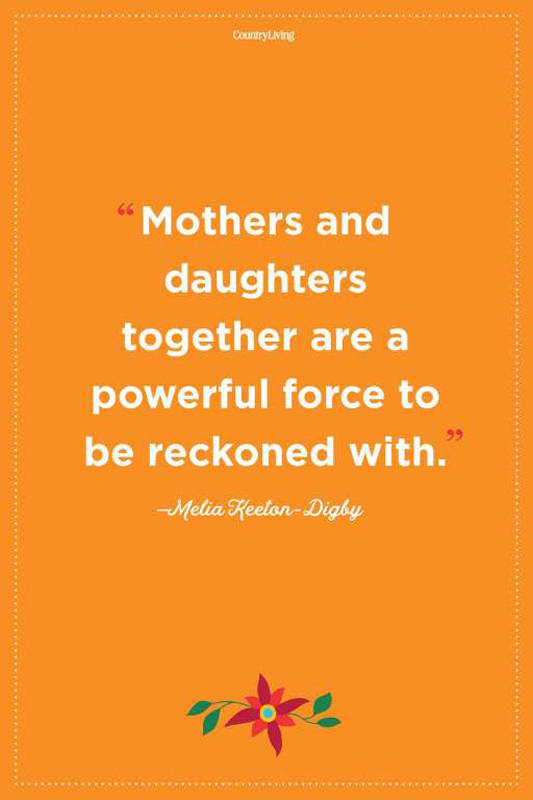 "Mothers and daughters together are a powerful force to be reckoned with." 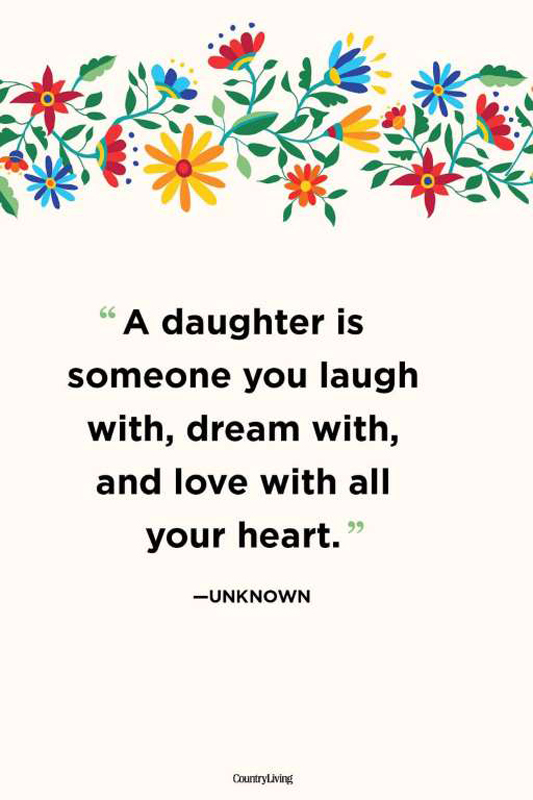 "A daughter is someone you laugh with, dream with, and love with all your heart." 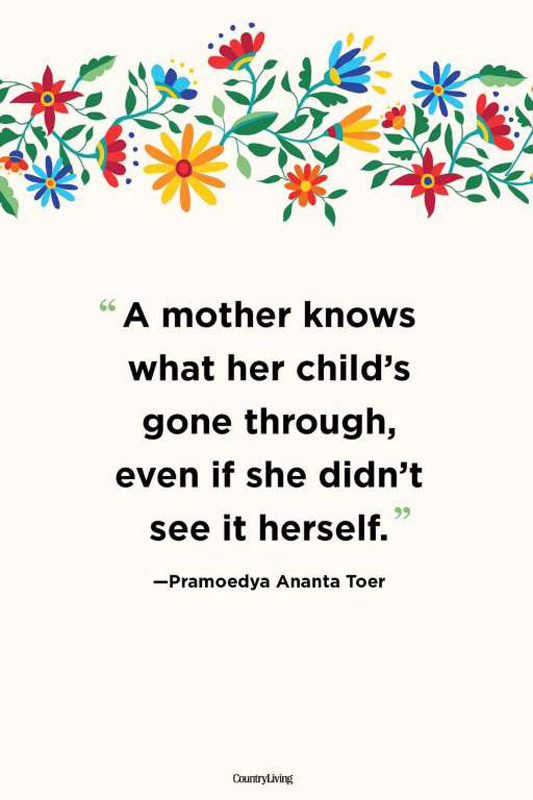 "A mother knows what her child's gone through, even if she didn't see it herself." 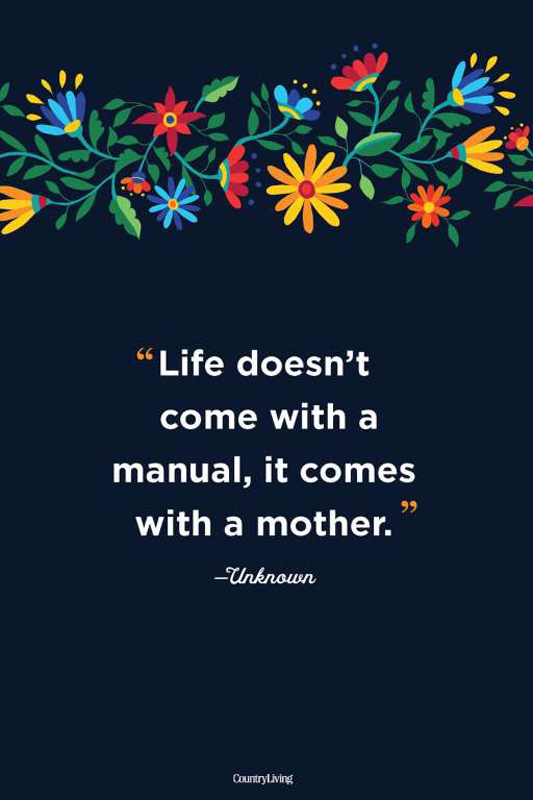 "No one in your life will ever love you as your mother does. 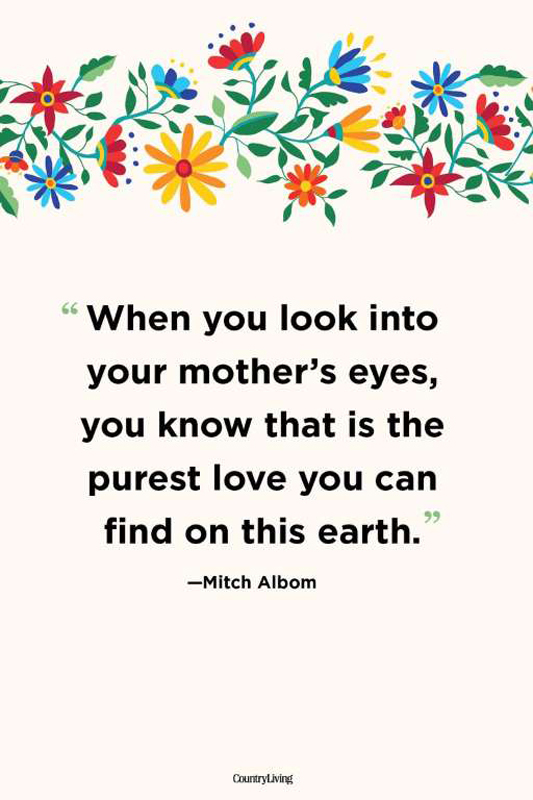 There is no love as pure, unconditional and strong as a mother's love. 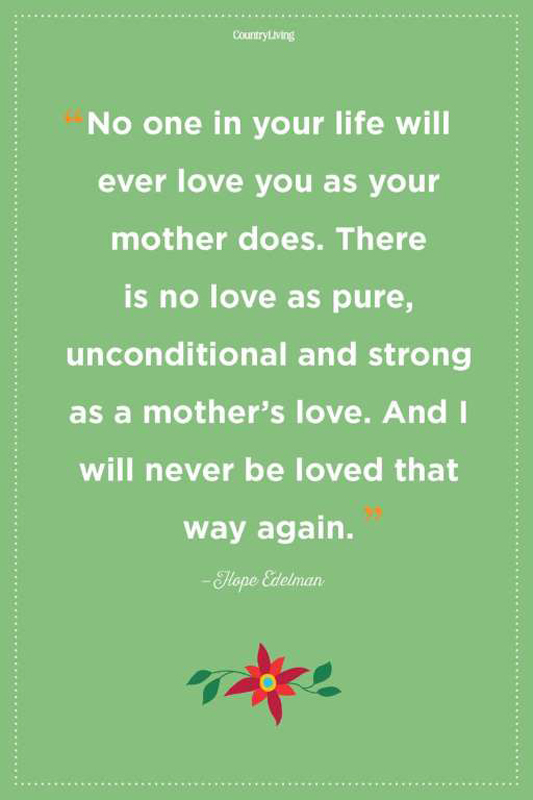 And I will never be loved that way again." 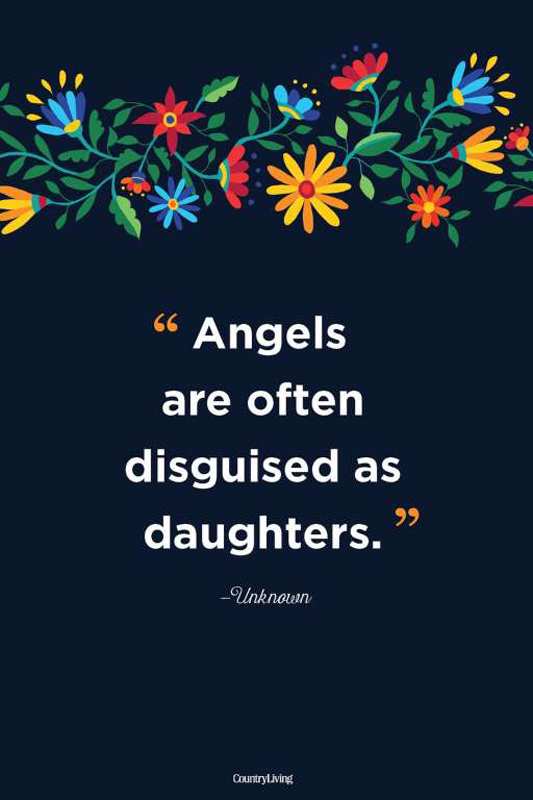 "Angels are often disguised as daughters." 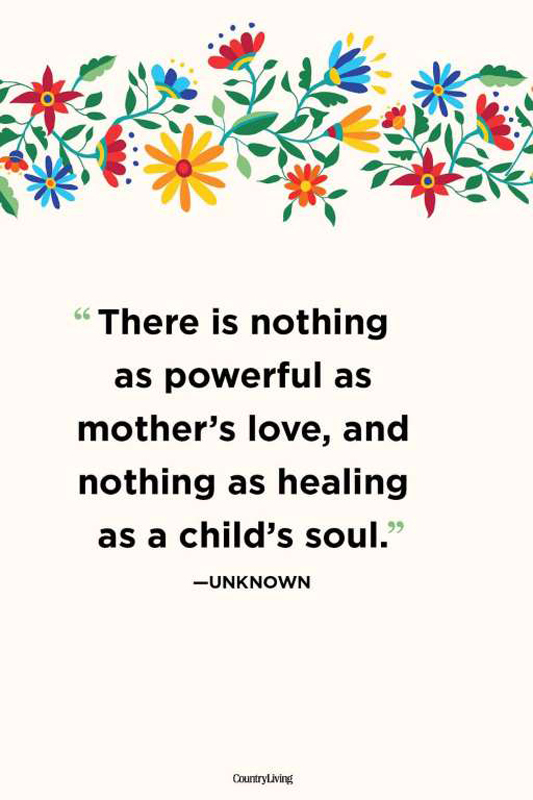 "There is nothing as powerful as mother's love, and nothing as healing as a child's soul." 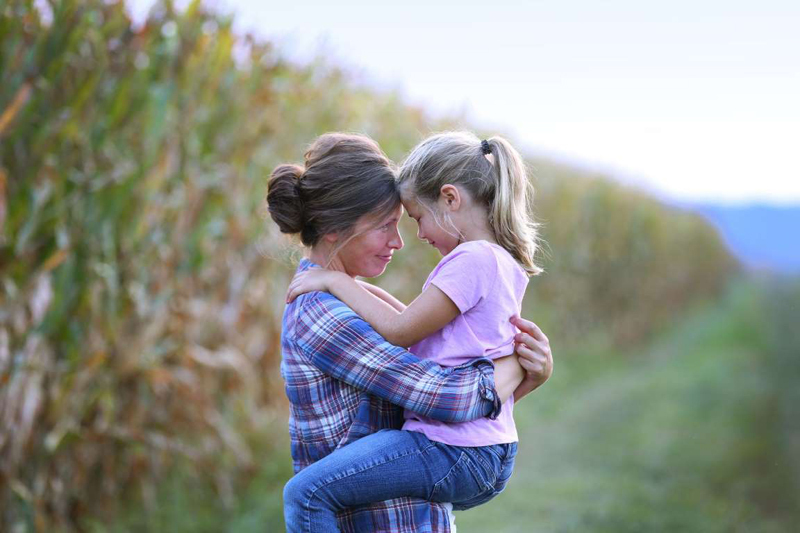 "Because even if the whole world was throwing rocks at you, if you had your mother at your back, you'd be okay. 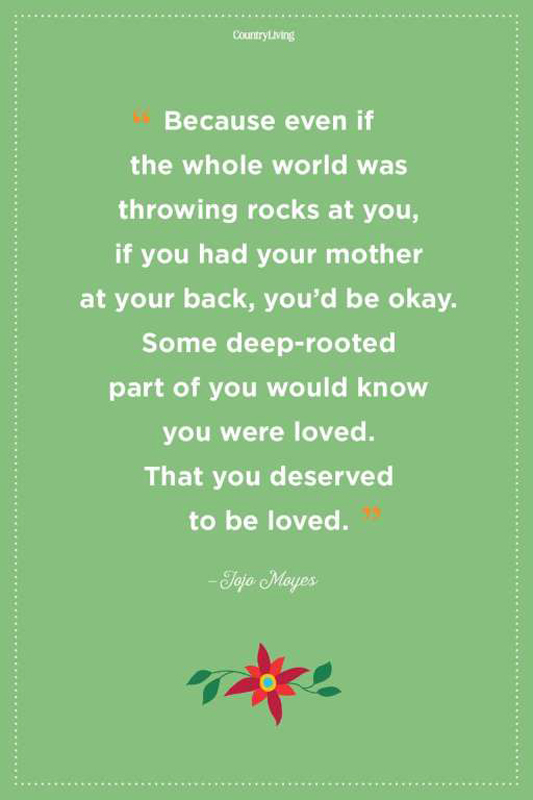 Some deep-rooted part of you would know you were loved. 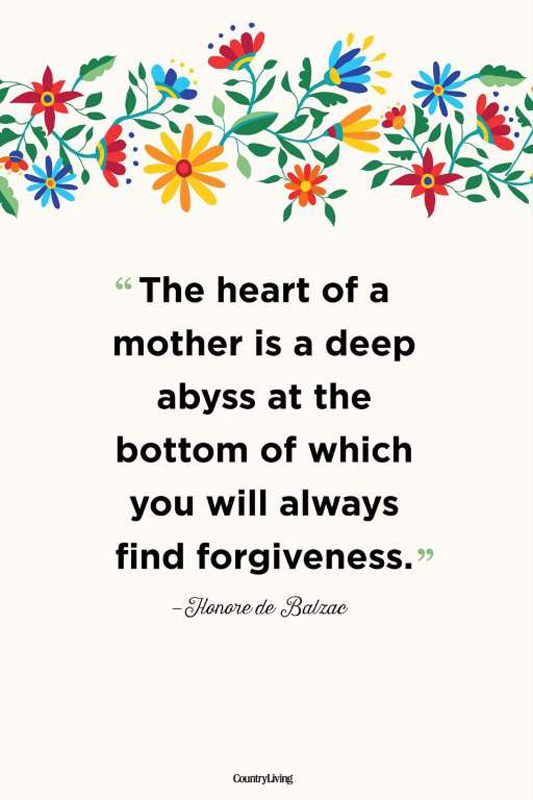 That you deserved to be loved." 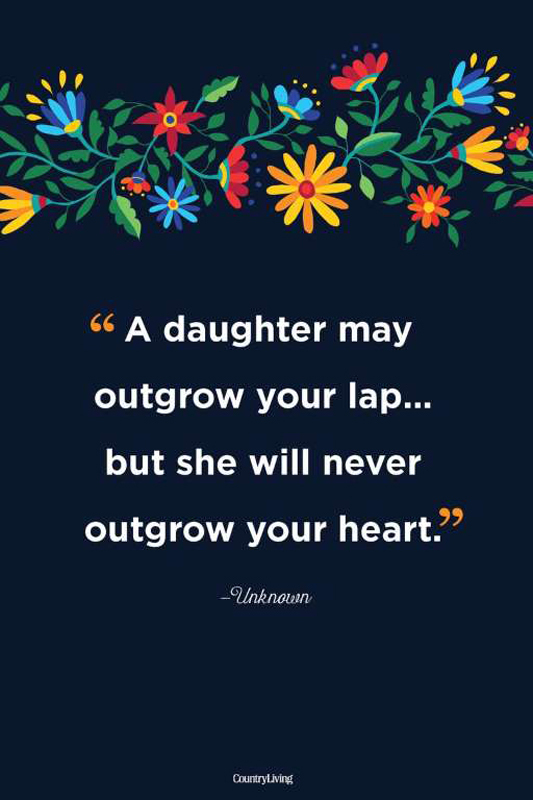 "A daughter may outgrow your lap…but she will never outgrow your heart." 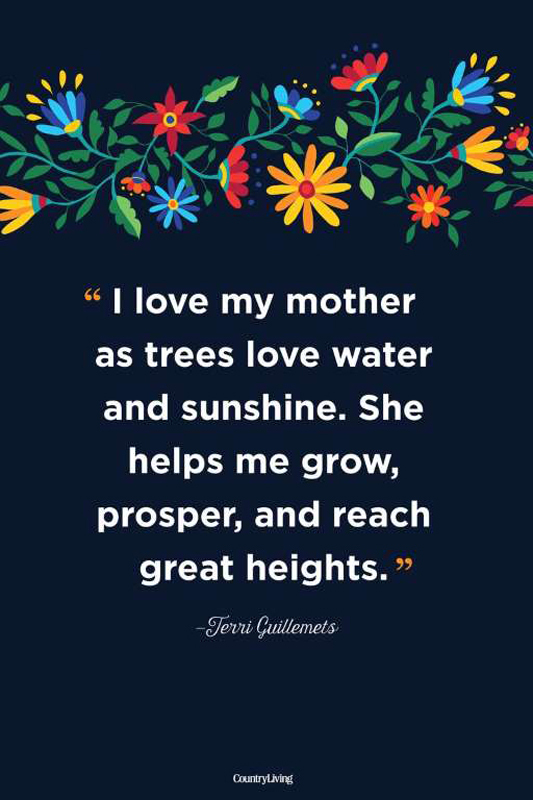 "I love my mother as trees love water and sunshine. 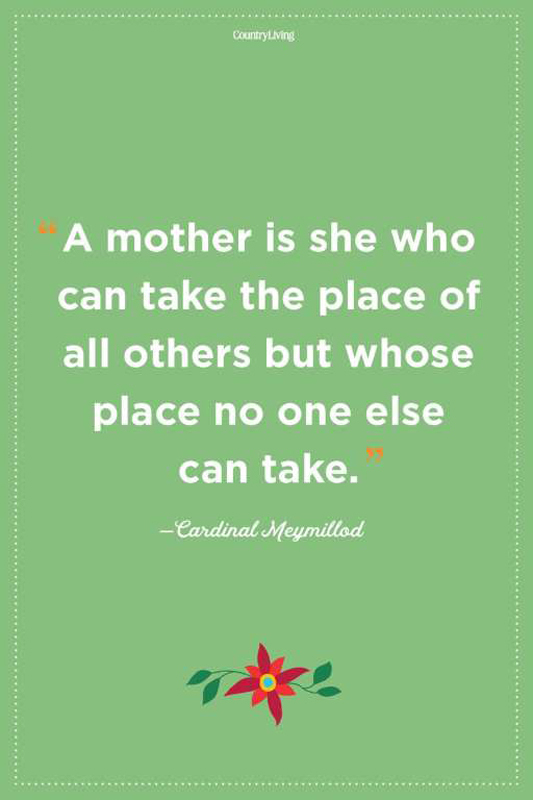 She helps me grow, prosper, and reach great heights." 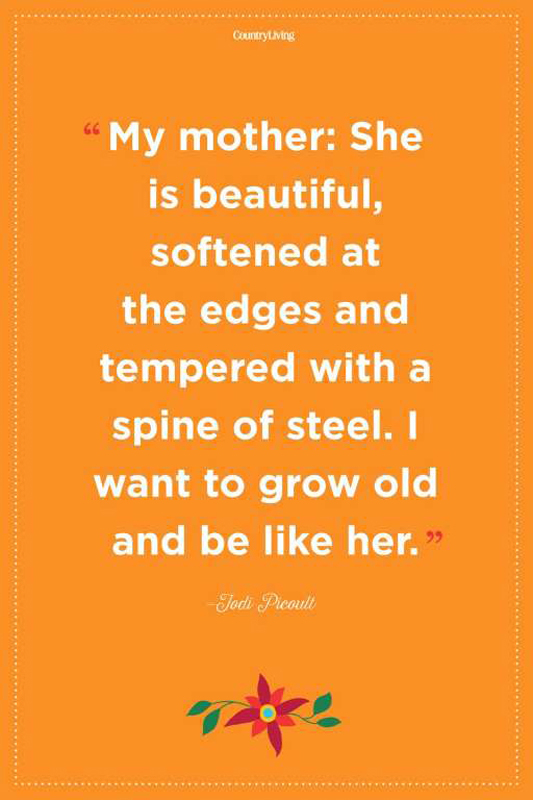 "My mother: She is beautiful, softened at the edges and tempered with a spine of steel. 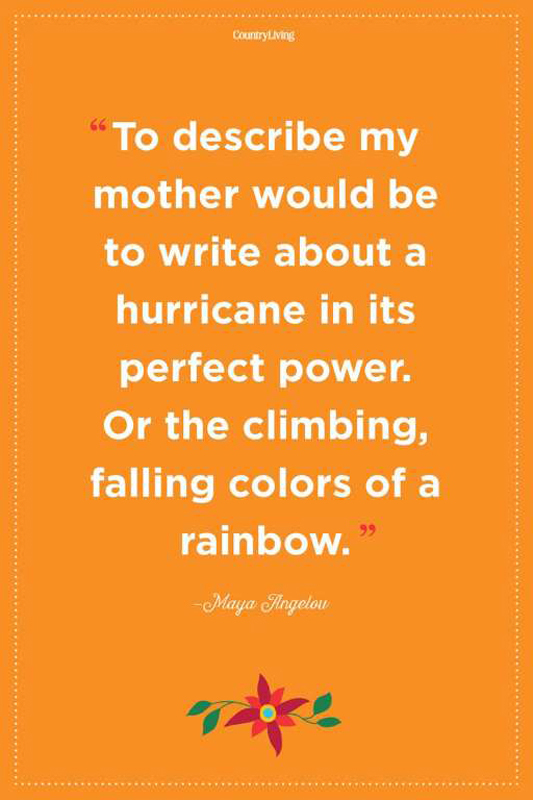 I want to grow old and be like her." 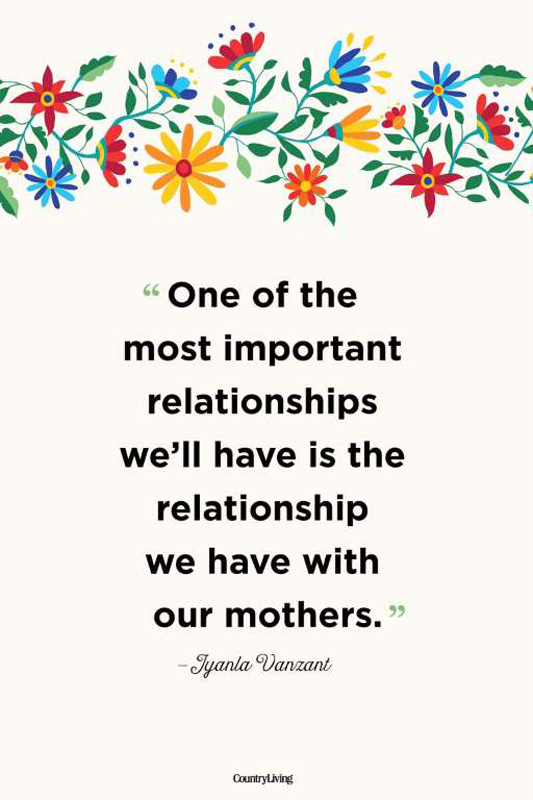 "One of the most important relationships we’ll have is the relationship we have with our mothers." 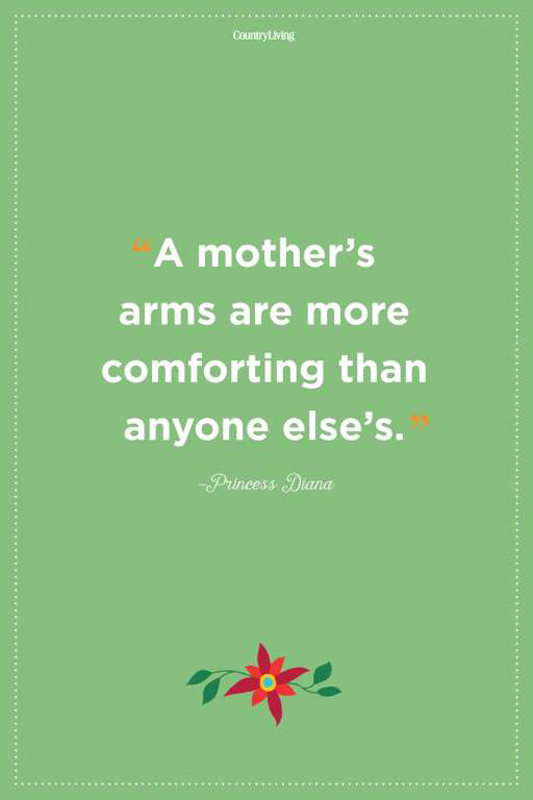 "A mother’s arms are more comforting than anyone else’s." 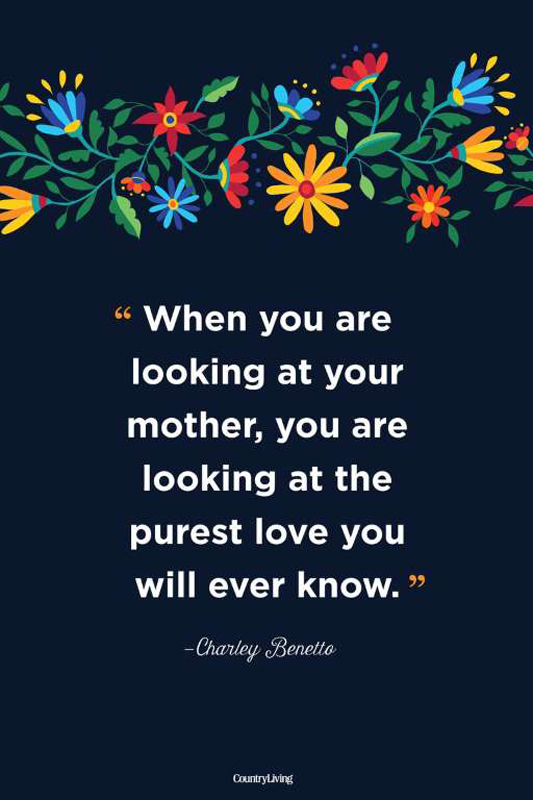 "When you are looking at your mother, you are looking at the purest love you will ever know." 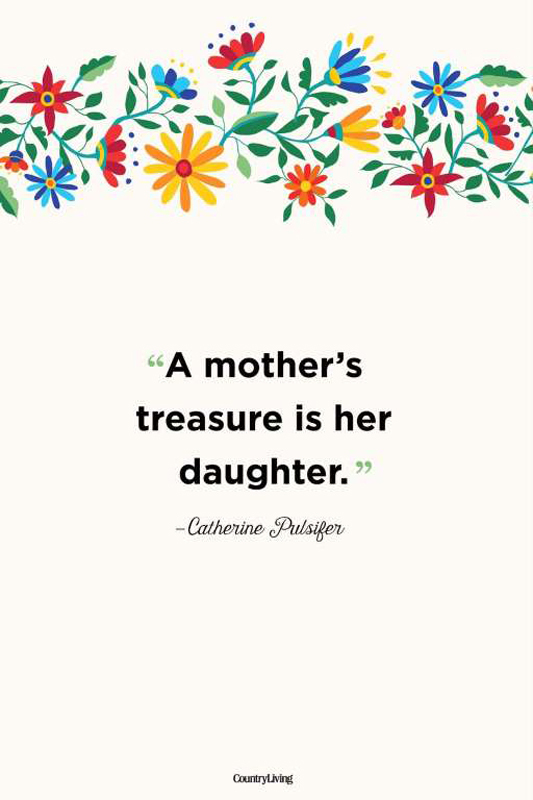 "A mother’s treasure is her daughter." 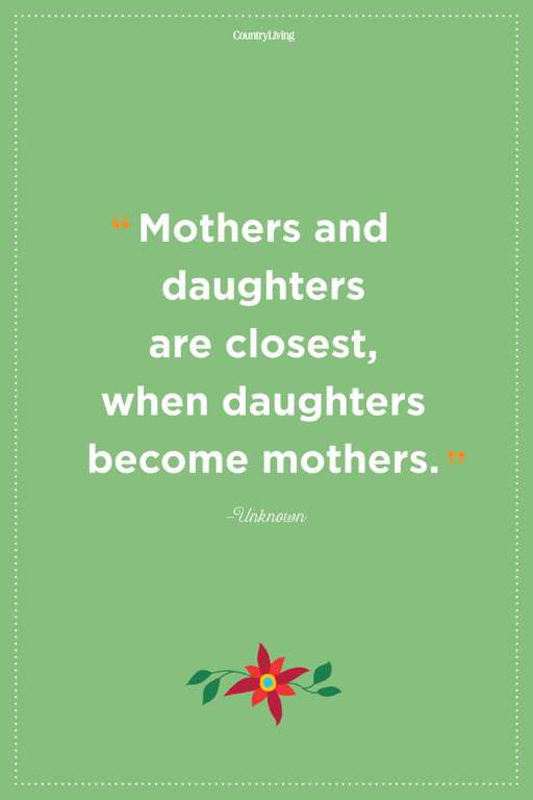 "Mothers and daughters are closest, when daughters become mothers." 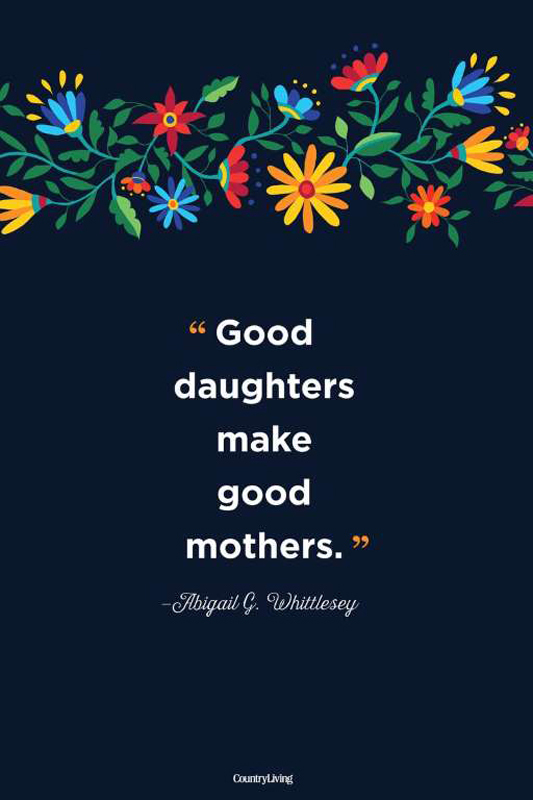 "Good daughters make good mothers." 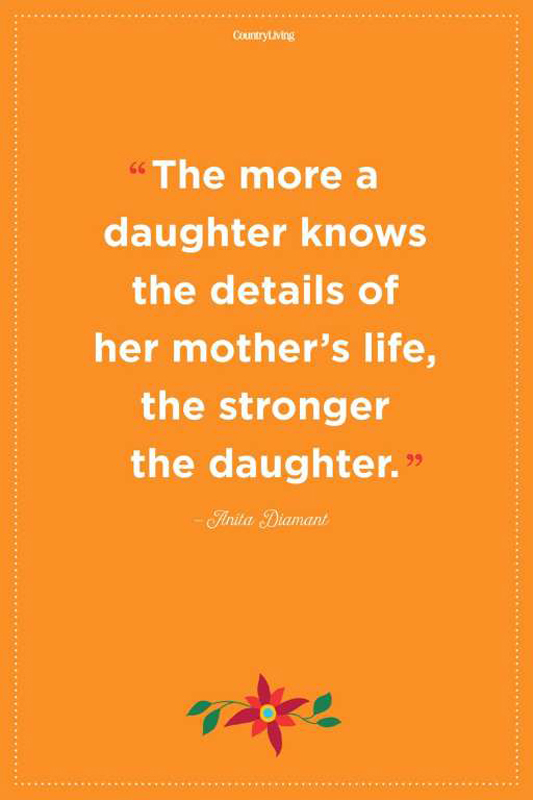 "The more a daughter knows the details of her mother’s life, the stronger the daughter." 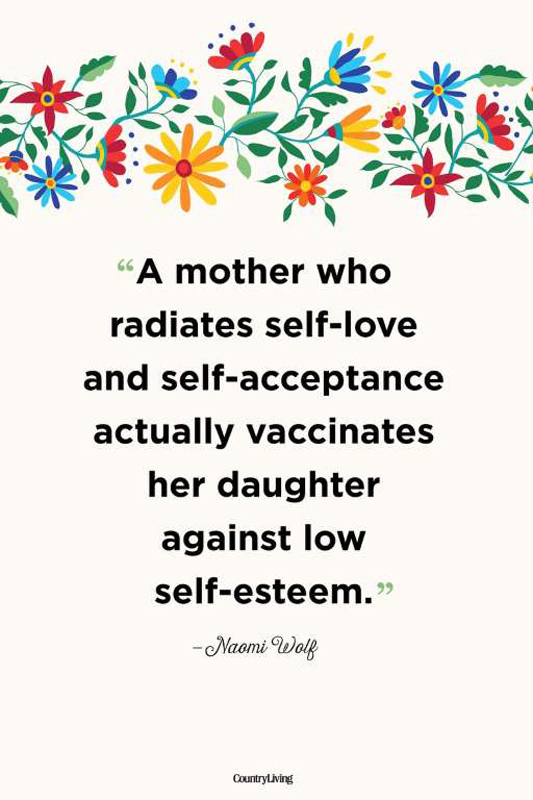 "A mother who radiates self-love and self-acceptance actually vaccinates her daughter against low self-esteem." 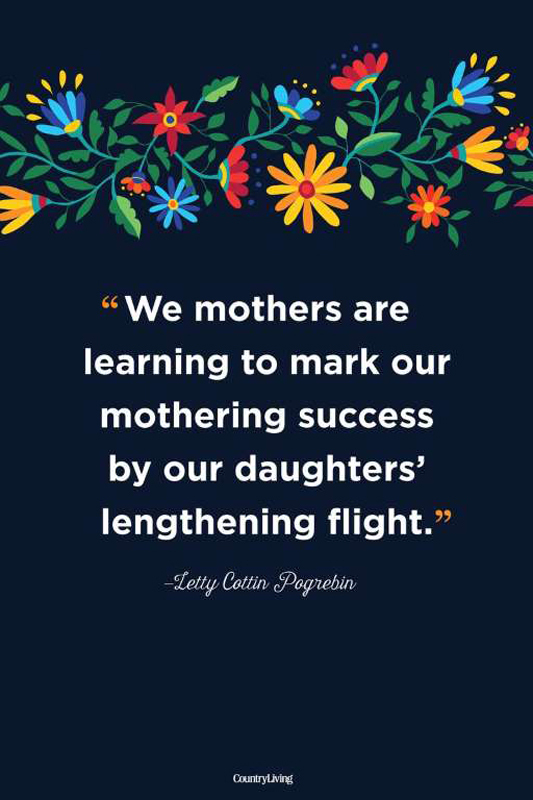 "We mothers are learning to mark our mothering success by our daughters’ lengthening flight." 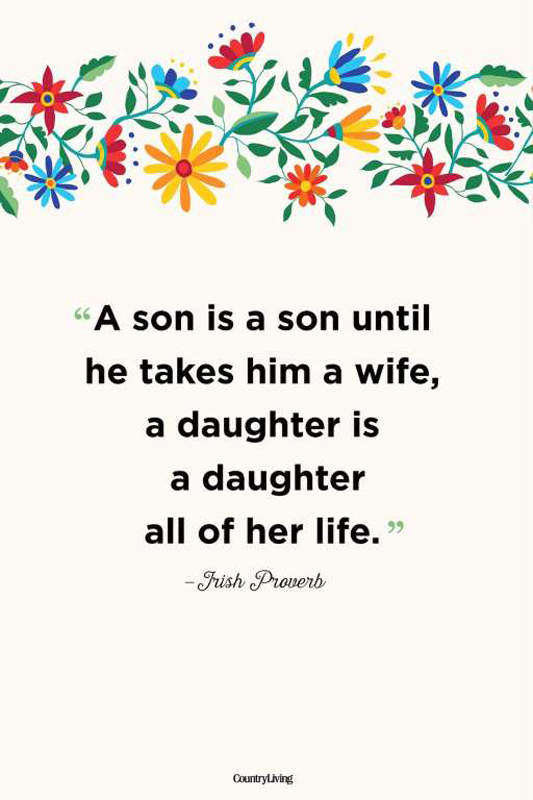 "A son is a son until he takes him a wife, a daughter is a daughter all of her life." 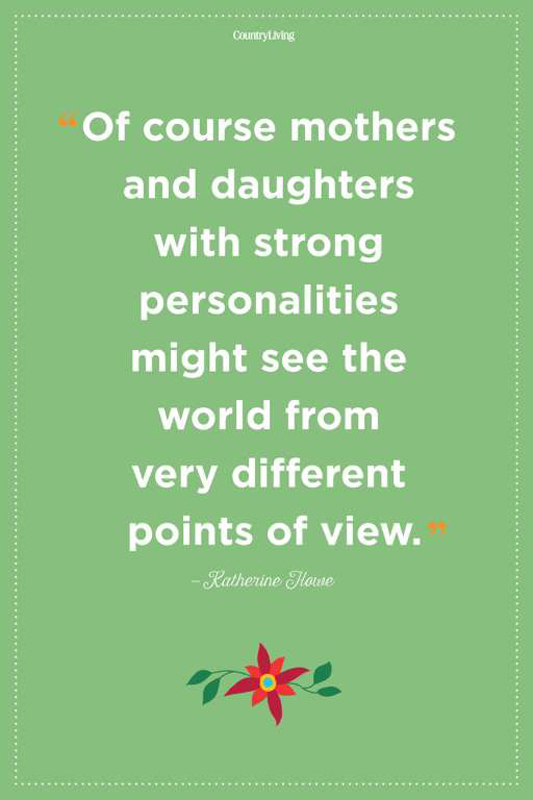 "Of course mothers and daughters with strong personalities might see the world from very different points of view." 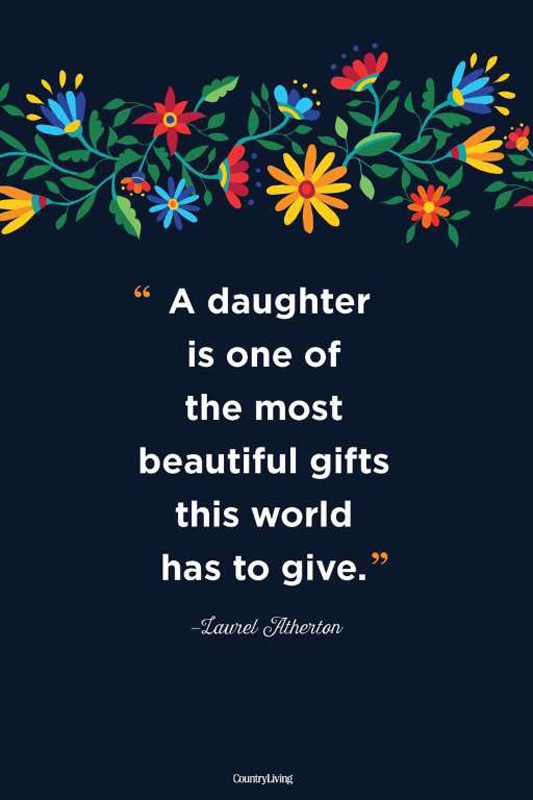 "A daughter without her mother is a woman broken. 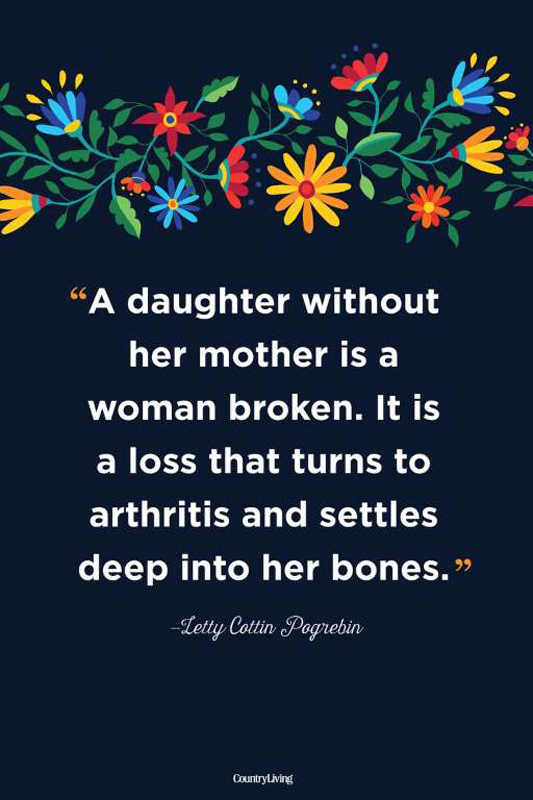 It is a loss that turns to arthritis and settles deep into her bones." 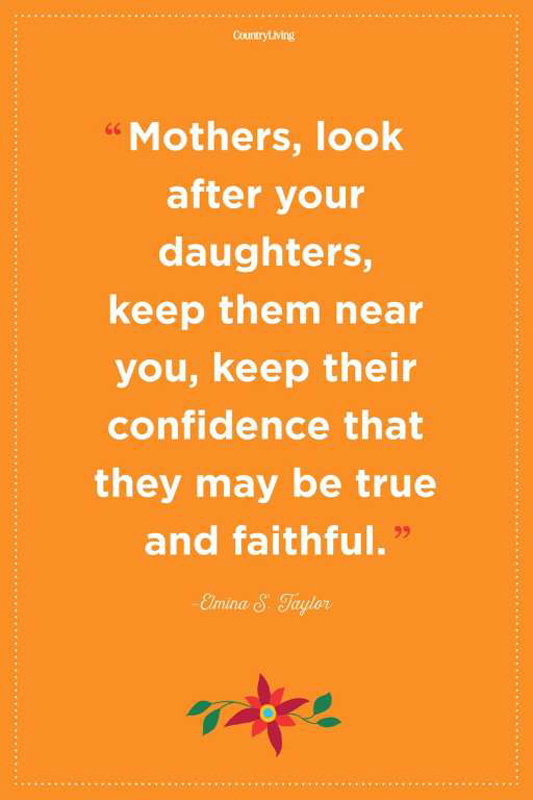 "Mothers, look after your daughters, keep them near you, keep their confidence that they may be true and faithful."